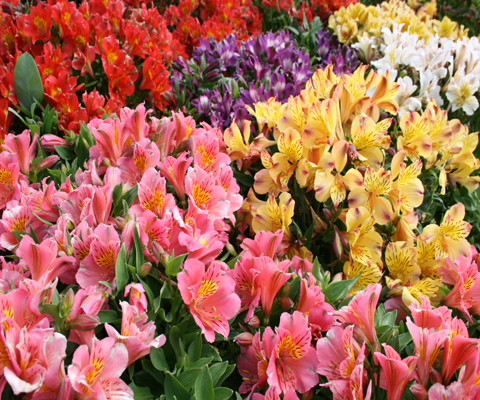 Alstroemeria is ridiculously easy to grow, almost like a weed but produces large, gorgeous flowers in a variety of colors that are perfect for any landscape. We sell them as a 8" Mix. Plant in moist and well draining soil in an area that gets full to partial sun. Very easy to grow and does not need a lot of water.